OAKS Hotels & Resorts has acquired a second property in Broome at Cable Beach. Just a short stroll to iconic Cable Beach, Oaks Cable Beach Resort offers the perfect sanctuary from which to discover the region. With over 22 kilometers of pristine white beach spilling into turquoise waters framed by the famous red ochre cliffs that create the spectacular scenery of Cable Beach, this is one of Australia's most sought after places to stay. 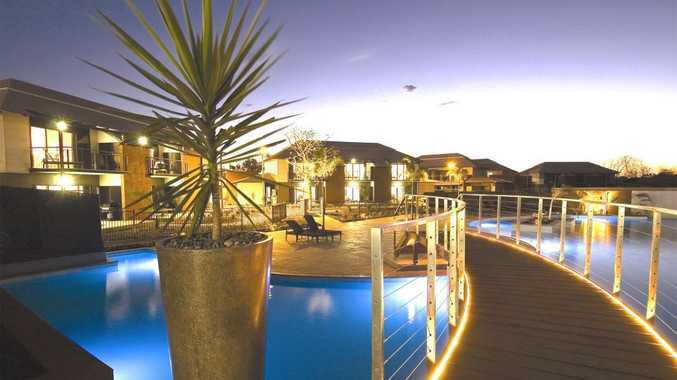 Oaks Cable Beach Resort comprises 155 spacious apartments, including a selection of studios, one and two-bedroom self-contained apartments along with three-bedroom villas; some with their own private plunge pool, and a central lagoon inspired pool. Fusing modern, tropical architecture with contemporary décor, the resort seamlessly blends with its surrounds, creating a lush holiday haven for couples, families and groups. Oaks Hotels & Resorts area director of sales and marketing Daniel Csortan said the opening of Oaks Cable Beach Resort on February 1, 2012 is eagerly anticipated. Both Oaks Broome and Oaks Cable Beach Resort offer spacious, self-contained accommodation, quality leisure facilities, dining options and a range of conference packages to suit every guest and budget. To celebrate Broome's second property, Oaks Hotels & Resorts has released a special "Booming Broome" deal. Stay at Oaks Cable Beach Resort, Lullfitz Drive, Cable Beach or Oaks Broome in Robinson Street Roebuck Bay from now until March 31 and pay only $99 per night for a hotel room with a minimum two night stay. *Terms and conditions apply, rooms are subject to availability and travel must be taken before March 31, 2012. For more information visit Oaks Hotels & Resorts.